Published in the November 2018 issue of Today’s Hospitalist. Advocate Medical Group Central Region is part of Advocate Aurora Health, the 10th largest not-for-profit integrated health system in the U.S., and was recently ranked No. 2 in the nation in health outcomes. 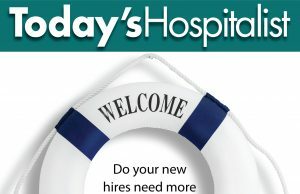 Advocate BroMenn Medical Center was recently named one of the “Best Places to Work in Healthcare” by Modern Healthcare. The medical center is a 221-bed Magnet-recognized teaching hospital with a community hospital feel. Services include a certified stroke center, chest pain center and a level II trauma center. 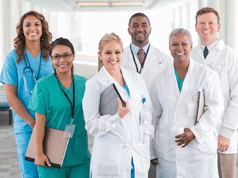 Employment model: Hospitalists are employed by Advocate Medical Group. Services: No codes, procedures or vent management required. Open ICU with critical care and e-ICU support. Schedule and coverage: Hospitalists work a seven-on/seven-off schedule with dedicated nocturnist coverage and APN support. Hospitalists also cover a 25-bed rural critical access hospital. Compensation: Advocate Medical Group Hospitalist Service offers an exceptional salary with benefits including malpractice coverage, CME allowance and an RVU/productivity bonus. Local highlights: Located in the heart of Illinois, Bloomington-Normal is home to several large businesses and universities. Innovative and family-friendly, the two cities have a combined population of 130,000 with an additional 30,000 students from Illinois State and Illinois Wesleyan. With excellent schools and affordable housing, Bloomington-Normal has a small town feel with big city amenities. Chicago, St. Louis and Indianapolis are all a short drive away.